Windy City Mechanical, Inc. is proud to serve the Steger community! About Steger, IL - Happy to be your hometown Heating & Air Conditioning Contractor! p>Located along the border that separates Will County from Cook County, Illinois, Steger is a village located 35 miles south of Chicago. As of 2010, the total population had exceeded 9,500 residents. The village was founded in 1891 and was originally named Columbia Heights, and it was the historic home of a famous piano factory opened by John Valentine Steger. More recently, Steger became an automobile-oriented community, and it is most well-known for being a stop found on the annual Driving the Dixie event. Steger is home to a few interesting things to see and do. 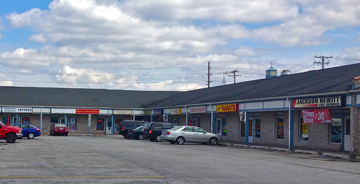 Shopping is popular in this community, with specialty shops including the Second Chance thrift store, the Steger Flower Shop, and Video Village. There are a variety of salons located in the village, including the Centre Barber Shop, Salon Serenity, and PI Nails. Additionally, there are several great restaurant options available, including Scrementi’s Restaurant, Amici’s Taverna, Raspberry’s Pancake House, and Bambino’s Family Restaurant. When planning a trip to Steger, it is crucial that visitors prepare for the varied weather conditions. The spring is typically rainy but pleasant and cool, although the season generally leads to hot and humid summer months. While average July temperatures usually reach the mid-70s, several weeks will experience heat waves in which temperatures exceed 90 degrees. Severe weather and thunderstorms are also a possibility, and to stay comfortable throughout these times, residents generally rely on their air conditioning systems. The fall months of Steger will bring decreasing humidity, and many HVAC professionals recommend that this is the time that residents have their home furnace systems thoroughly inspected before the harsh winter weather arrives. Temperatures will drastically fall with the start of the season, and highs will usually reach the mid-20s. An energy-efficient furnace will ensure that residents stay safe throughout the season.